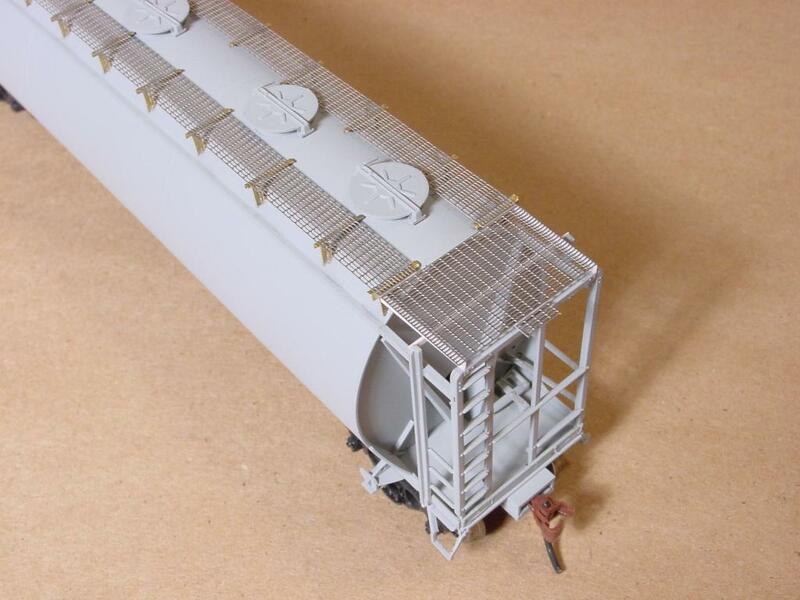 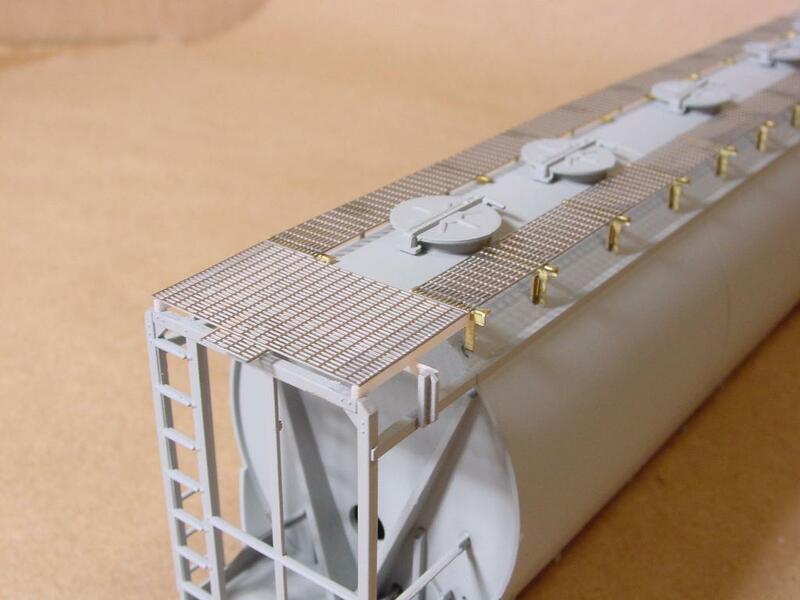 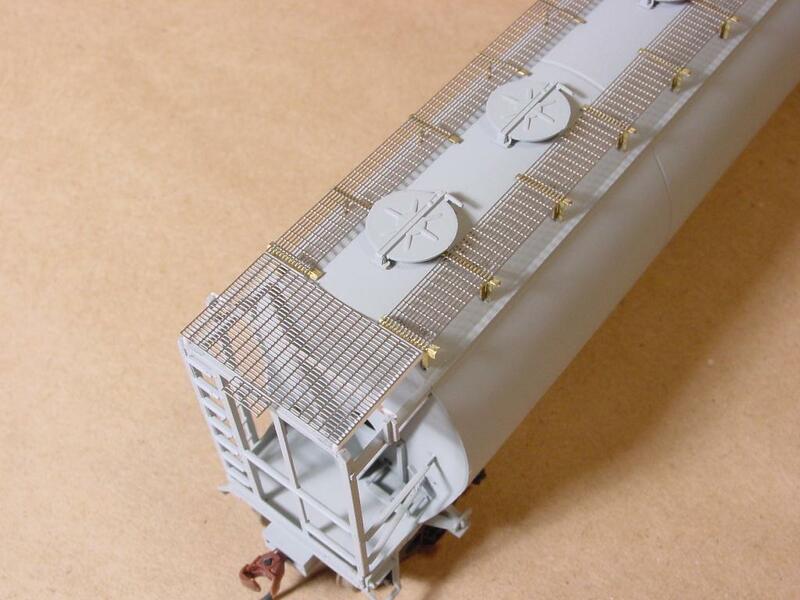 Here are a few shots of a #096 walkway applied to an undecorated Atlas ACF cf3510 covered hopper. 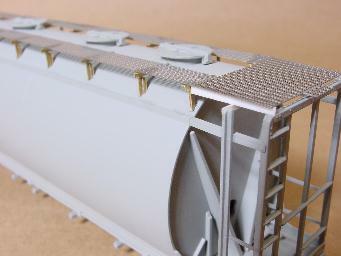 In these photos you can see the brass supports that have been formed and added to the roof of the car. Also visible is the styrene framework that is built up to support the end of the walkway. 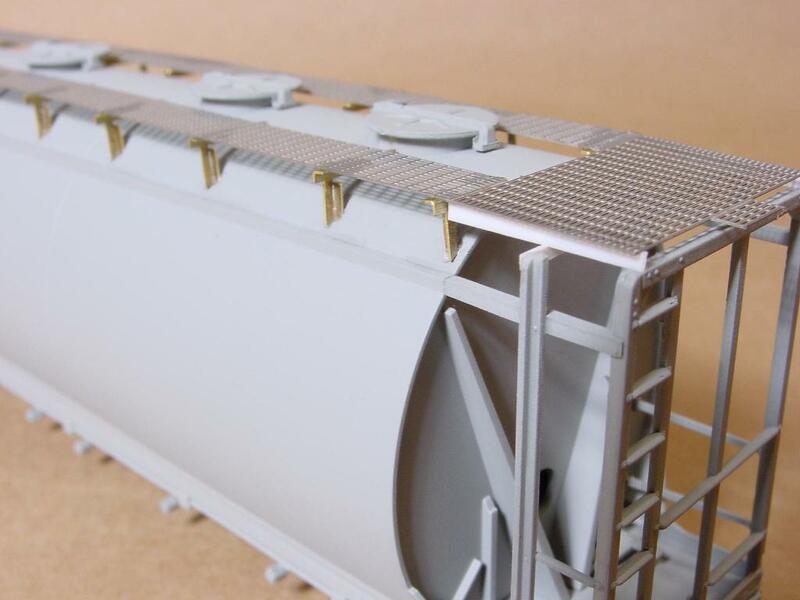 Kit includes walkway, brass supports, styrene strips and brake platform. 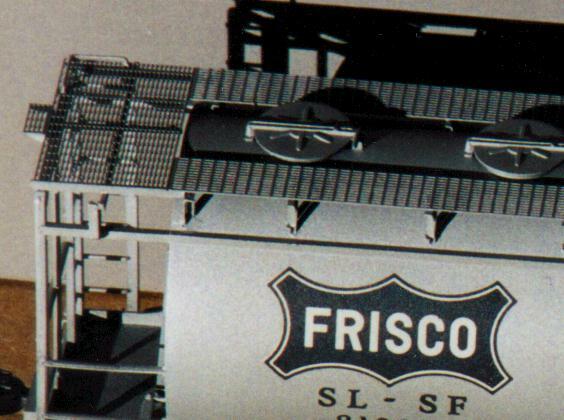 A close-up using one of Richard Yaremko's photos.